You are invited in Christian love to be our guest for our Lenten, Holy Week and Easter Celebration services. This year we are also celebrating with our brothers and sisters at our partner church in New Holstein. Find all of the details below. as they did when Jesus rode into Jerusalem. This year’s Ecumenical Breakfast will be at Falls Community Church, 633 Buffalo Street in Sheboygan Falls. It will begin with breakfast, followed by a short time of worship and a guest speaker. We will be joined by the congregations from Falls Community Church and St. Peter’s Episcopal Church. Click here for more information on Falls Community Church. Click here to visit Bethel UMC's website. 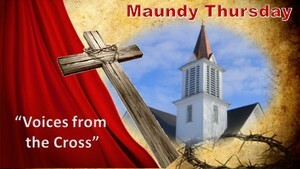 Community Good Friday Service, April 19th at 11:30 a.m. 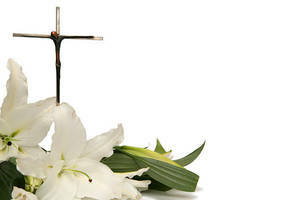 The Sheboygan Falls Good Friday Cross Walk will begin at 11:30 a.m. at the Municipal Building and wind it's way through downtown, ending at the First Reformed Church (527 Giddings Avenue) where the Good Friday worship service will begin at 12:00 p.m.